I borrowed some pictures from my grand-aunt for scanning. 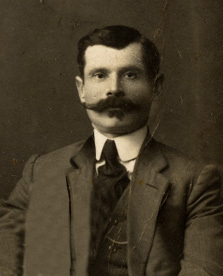 Amongst them was this awesome picture of my great-grandfather. 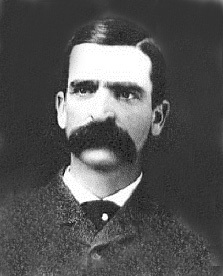 In the picture he looks very much like Seth Bullock. 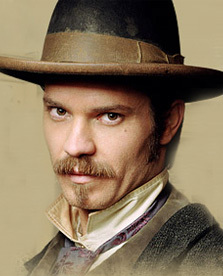 Here are for comparison pictures of great-gramps, Timothy Oliphant as Seth Bullock in HBO’s Deadwood, and the original Seth Bullock. In reality my grand-grandfather was more of a Sol Star character. I learned from my grand-aunt that he studied to become a bridge builder, but his father refused to support him because in that profession he would have to work and study on Saturdays (great-great-grandfather was very religious). Instead, grand-grandpa was forced to enter the family business which was, just like for Seth Bullock and Sol Star – a hardware store. He became rather wealthy, owning 3 hardware stores at some point. Then during the Bolshevik Revolution his hardware stores were nationalized and he became a lishenets. Thinking on his feet, he made a quick trip to Kiev and quickly learned the photography trade. 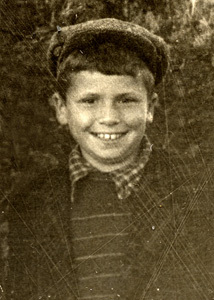 That was a pretty good profession and it allowed him to support his large family in the Soviet times as well. 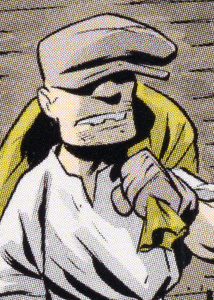 Amongst the pictures I found a photo of my dad (looking eerily similar to myself at that age) wearing a flat cap, just like an outstanding comic book character The Goon. I wonder if in the age of flying cars, teleportation, personal robots, spaceship yachts and the like, someone will post a picture of me on the interplanetary network and marvel at my new-media-blue shirt, fatness (I believe by then they’ll solve this problem) and a cubicle with a primitive computer in the background.